Tiffany's grandmother sees something wild in her future -- but is 16-year-old Tiffany prepared for the powerful shape it will take? 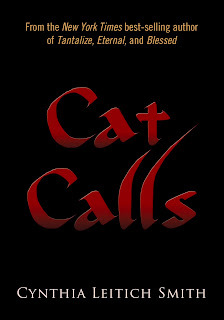 When she takes over her grandmother’s fortune telling booth for a day, some really strange things happen… CAT CALLS is a short story by New York Times Bestseller Cynthia Leitich Smith -- set in the same dark universe as her novels Tantalize, Eternal, and Blessed. This one was a little weird for me. I t was good, and it had me hooked. But I felt like this short story should have been the book in the full series, rather than Tantalize. Also, I looked up the other books in the series and this series doesn't sound as appealing as the others did. Not something I would look for again. Review - I'm Beautiful, Why Can't I See It?